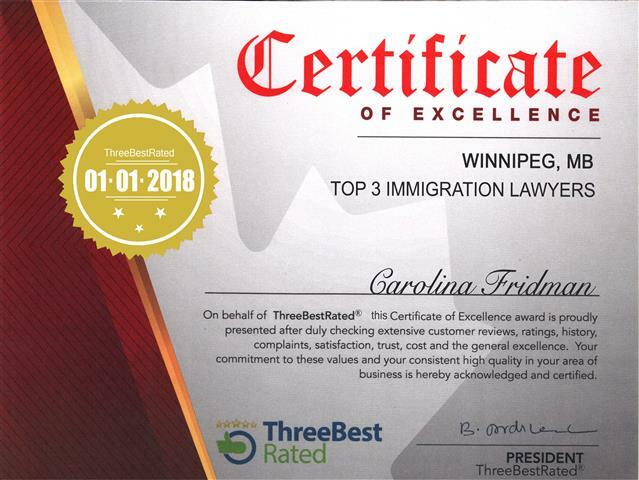 We have been honored to be selected as one of the top 3 immigration law firms in the Province of Manitoba for the years 2017 and 2018. This award is a recognition from the people we care the most. Our clients are our priority, and we work hard to ensure we can exceed their expectations. Through our multilingual and talented team, we speak to our clients in their native language. We predominantly serve new Canadians wishing to build a strong new life here in Canada. We are guided by the principle of treating each file as if it were our very own. We provide prompt and responsive service, understanding each client’s requirements and needs. 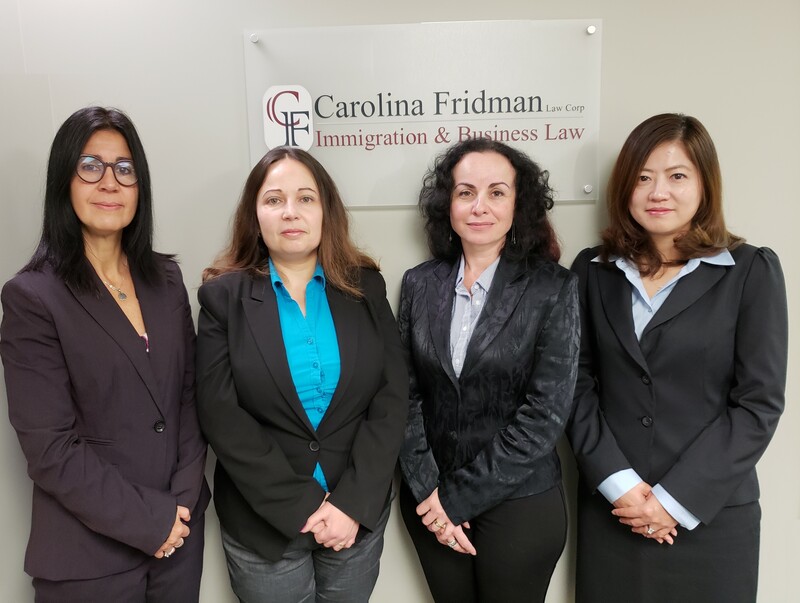 Our passion for immigration and business law enables us to find innovative solutions for each and every challenge that may arise throughout the legal process. This award is a recognition from the people we care the most. Our clients are our priority, and we work hard to ensure we can exceed their expectations. Through our multilingual and talented team, we speak to our clients in their native language. We predominantly serve new Canadians wishing to build a strong new life here in Canada.We are guided by the principle of treating each file as if it were our very own. We provide prompt and responsive service, understanding each client’s requirements and needs. Carolina immigrated to Canada from Argentina in 1998. 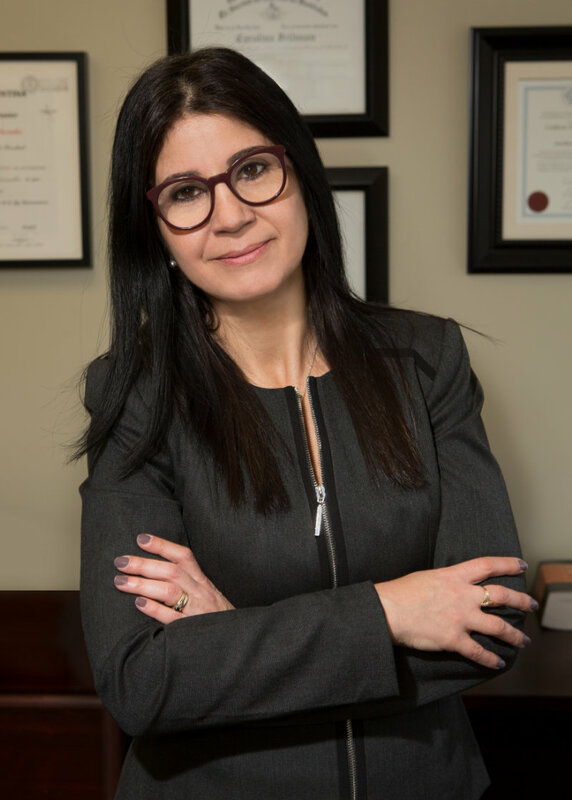 She developed an interest in Canadian immigration law and policy since the date she began preparation of her own application for permanent residence in Canada. It did not take long for her to realize that dealing with Immigration authorities can be intimidating and frustrating at the same time. Carolina obtained her first Bachelor of Law degree in 1992. She practiced Commercial and Corporate law in Buenos Aires until she came to Canada. Upon arriving in Winnipeg, she started her legal career working for a prestigious immigration law firm for 15 years. Since 2014, Carolina leads her own firm. Carolina places a great deal of importance on client relationships and ensures that clients are treated as valued partners in their legal process. The number one rule for Carolina and her team is to “treat each case as it was their own”. Carolina’s passion is to advocate for her clients’ rights and help them to achieve their goals. She enjoys the challenge of trying to make this area of law and its process make sense and to let reason prevail. 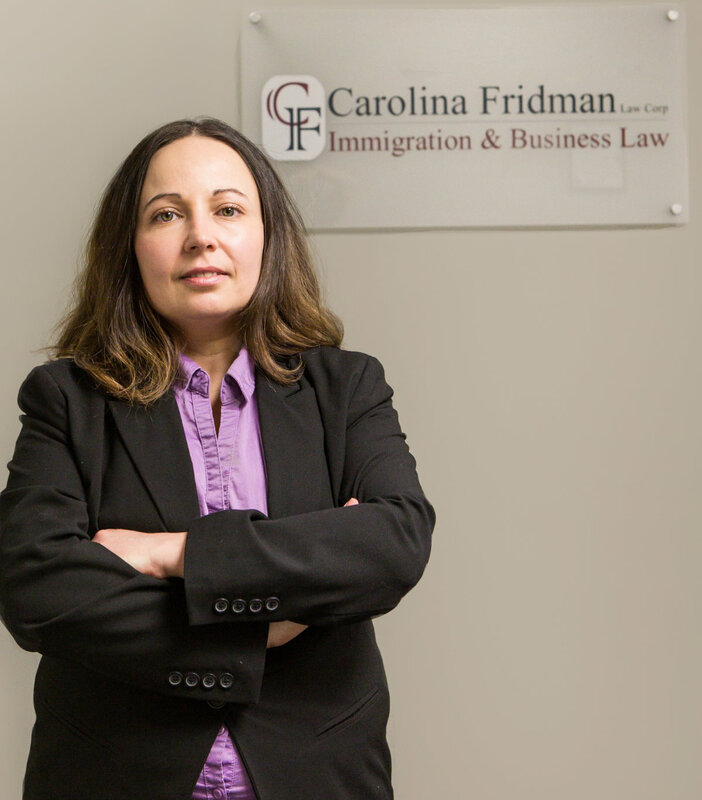 Carolina’s practice includes every possible area of Canadian Immigration and Citizenship Law for individuals and business clients. She also provides legal advice in real estate and business matters. Natalie earned a Law Degree from a prestigious Israeli Law School and has worked in the legal field for over 18 years. 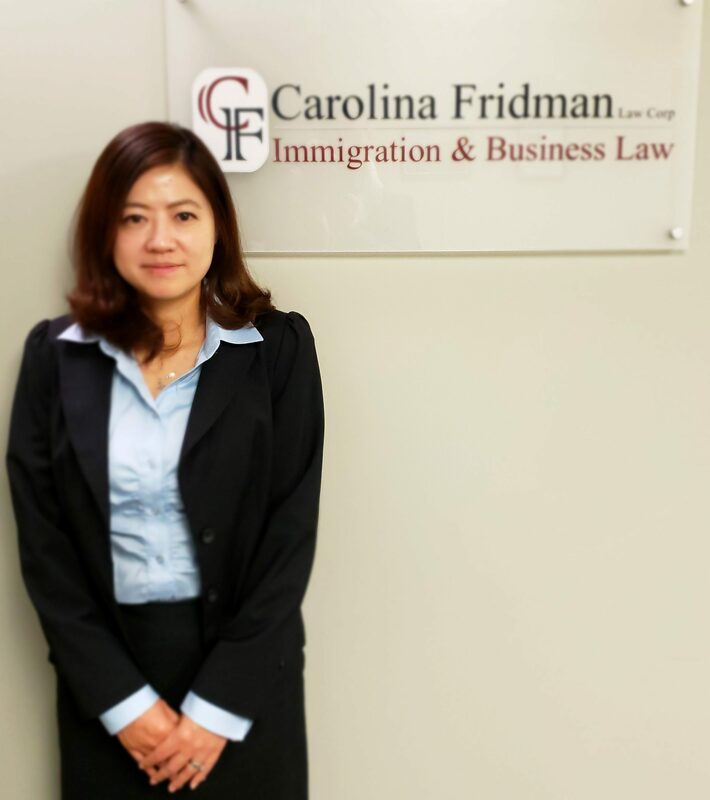 She finds working in the immigration field very rewarding because it gives her the opportunity to connect with a broad spectrum of people. She focuses on our clients’ needs paying particular attention to every detail of their process. Natalie is fluent in English, Hebrew, Russian with some Ukrainian and several other Eastern European Languages. Natalia is presently going through the accreditation process to become a Canadian lawyer. She is an article student at Carolina Fridman Law Corporation. Natalia holds a Bachelor degree in Political Science and Public Communication (B.A.) and Bachelor of Law (L.L.B.). She is an active Israeli lawyer, a member in good standing of Israeli Bar Association. Natalia has founded her own Law firm in Israel in 2009. Her legal practice as a lawyer focused on commercial law, family law and real estate. After immigrating to Canada, she continued to provide services to her Israeli law office as an external consulting lawyer. Natalia’s professional interest in law, led her to study Canadian immigration law and become a Regulated Immigration Consultant. Natalia founded a Canadian immigration consulting firm – North Sky Immigration. The main mission of her company was to provide high quality, creative, and result–oriented professional services for all the immigration-related matters. Natalia speaks four languages Russian, Hebrew, Ukrainian and English. Cassie graduated from the University of West of England with a Master’s degree in International Management. She is fluent in English and Mandarin. Cassie has 13 years of working experience in key account service, administration and marketing management in various industries. 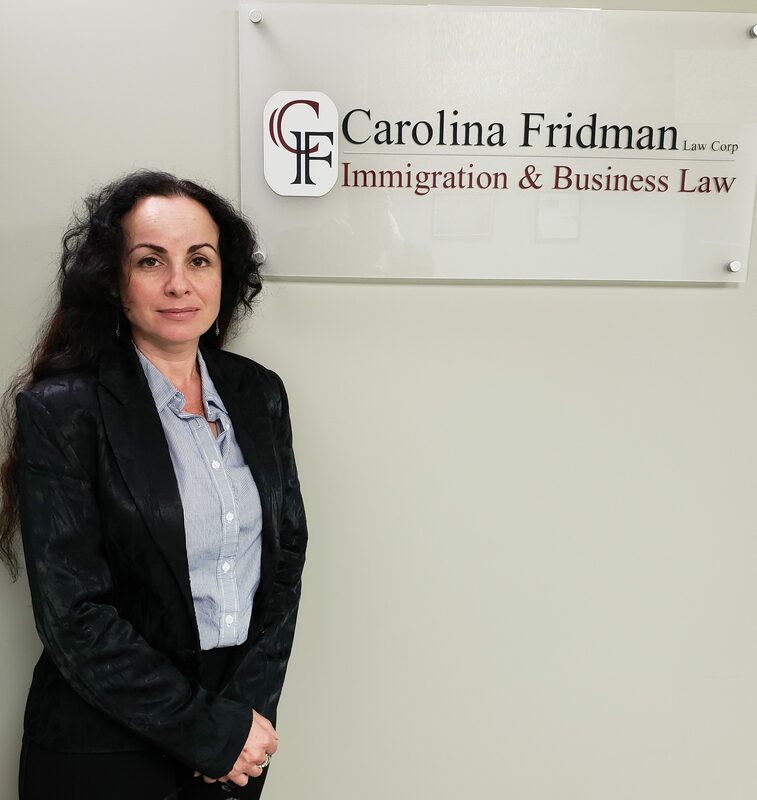 Prior to joining Carolina Fridman Law Corporation, she worked for a New York based reginal center to assist clients with both investment and immigration enquires. She strives to provide superior customer services and tries to understand each particular situation to satisfy the legal need of our clients. Cassie works closely to Chinese clients to whom she assists with interpretation, if needed.